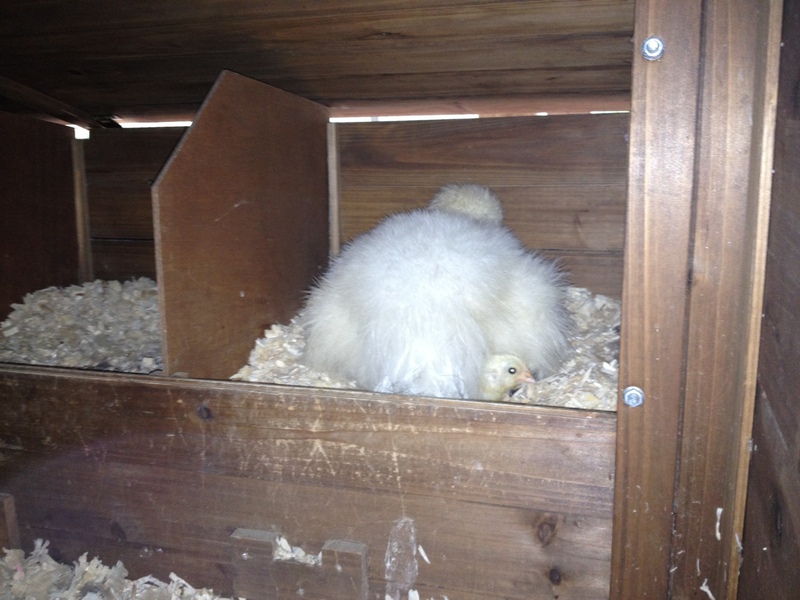 It’s been nearly a week since our new chicks came home and were lovingly adopted by our broody Silkie. It poured rain for most of the week and she and the trio spent their time in the coop. As the weather improved, they spent more of their time outside. That’s when the problems began. 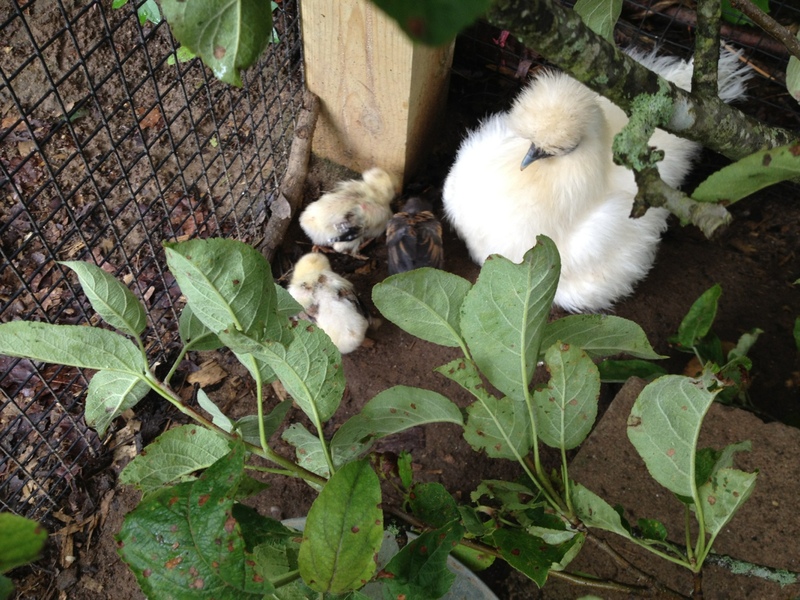 This Silkie has always been at the very bottom of the pecking order. I’ve red stories of new mommy hens going to heroic and insane lengths to protect their brood, but unfortunately she couldn’t stand against the venom of fellow bantam. If this little Brahma wasn’t my child’s favorite, she’d be soup by now. But even if we had BokBok stew (yes, my child named her), that’s not to say another bully wouldn’t do the same thing to the new family. What to do? I supervised some flock together time, but it was tragic to see the feathers flying and panicked quartet running about. I scolded BokBok and tossed her out of the run and coop area, but she was relentless. This was chick endangerment and could easily result in the death of a little one so I separated the family in a makeshift brooder currently residing in the garage. At least they are still happily getting along. Last night my two week old chicks came home for the first time and either in a stroke of brilliance or madness I decided to see if our broody Silkie would adopt the chicks. So here I am at the crack of dawn checking the early results of the adoption experiment. And? So far so good. 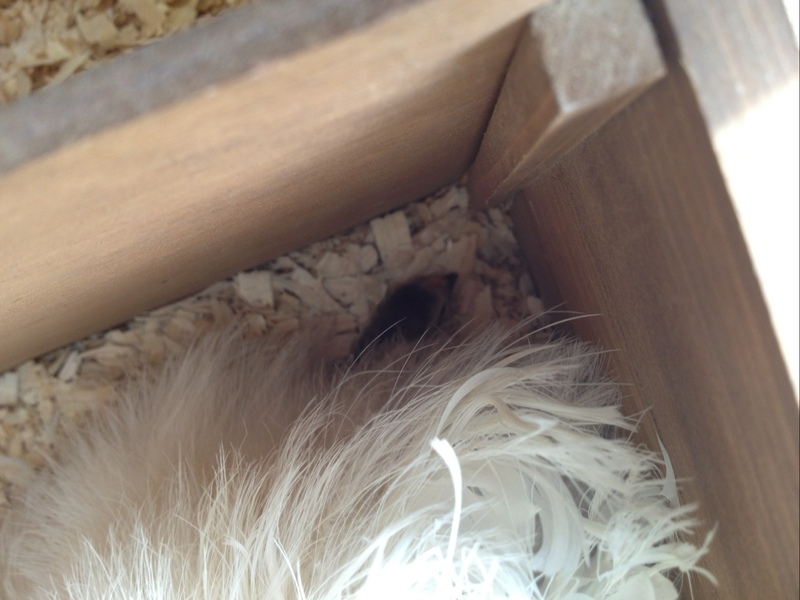 The broody and her trio are still in the nesting box with her wings puffed out to protect them. They only poked their heads out after I poked around our #1 Mommy. 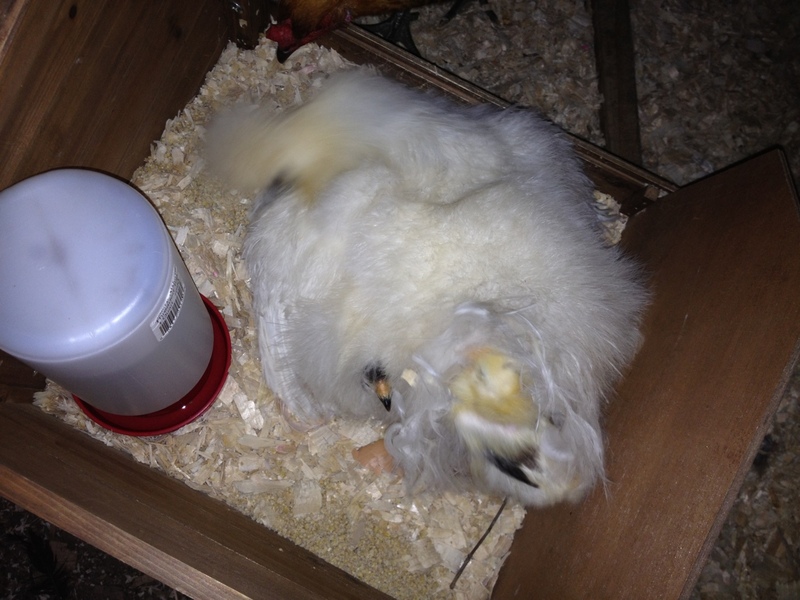 Because these are older chicks, I placed a small waterer and crumbles inside the box, which they all eagerly accepted. The other chickens are curious, but giving them space. The idea of food in the nesting box prompted a few investigations, but I shoed the onlookers away and all is back to status quo. The pictures are bit blurry, but then again, so am I at 5:00am. 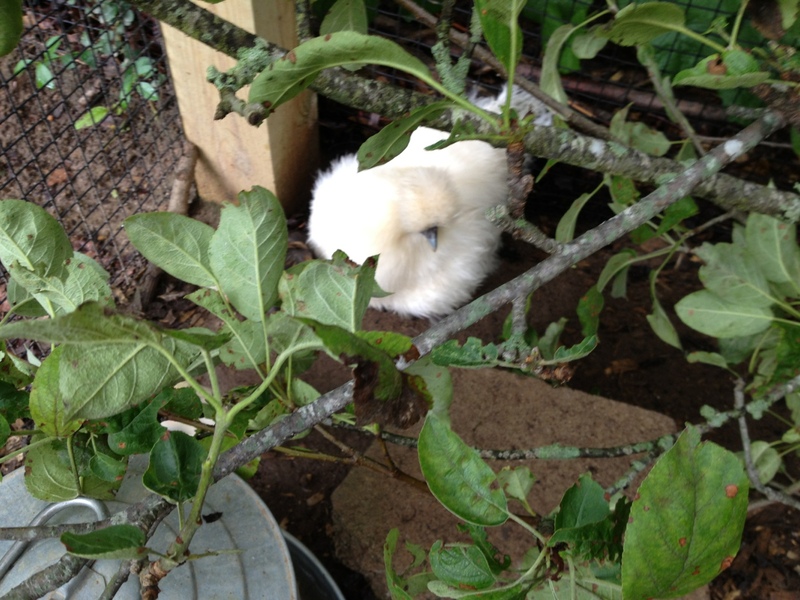 We’ve had a broody Silkie since mid May. In The Broody Experiments, we tried our best to get her “unbroody,” but without success. This chicken was broodily determined. Sigh and wait. Then my chicks arrived today. They were incubated by a nice class of students at a local school. Disappointingly, we only had 3 out of 24 eggs hatch: 2 Salmon Faverolles and 1 Belgian Bearded D’Anvers. Sounds like a perfect size clutch for a broody bantam. Hmm. I conveniently happen to have an inconveniently broody bantam. 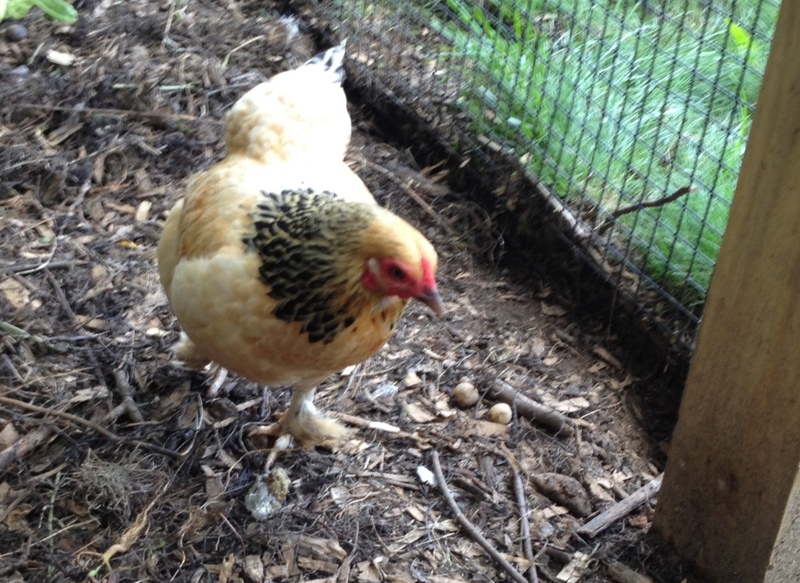 Now the question… will our broody hen adopt the chicks? Internet research showed mixed results. Fortunately, most of out conditions are right: The hen has been broody for over 21 days and she is very gentle and good-natured. The plan: Towards dusk, I introduced them one at a time, approximately 45 minutes apart. I also included an egg shell with the first introduction that my child serendipitously broke while collecting this afternoon. Perhaps it is total nonsense, but I read that the shell helps. 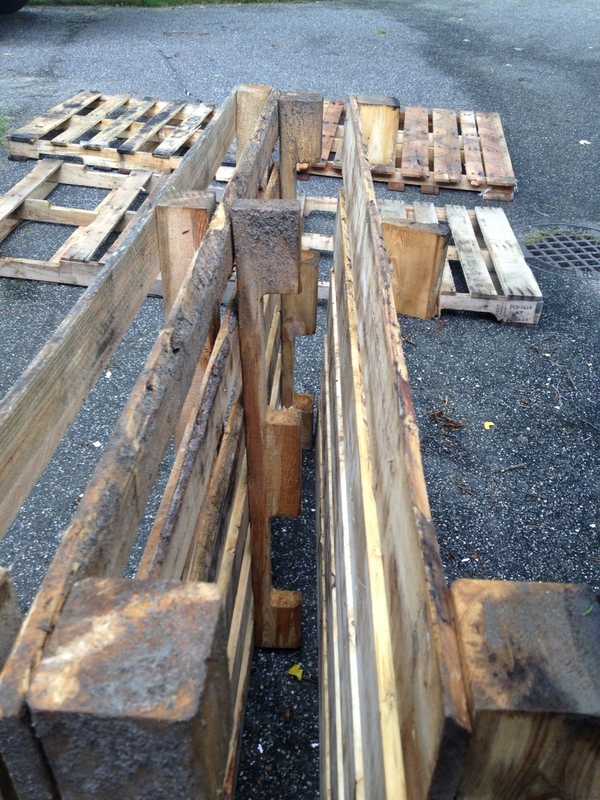 The initial results: Did I say she was good natured? I poked around to take a few nosy pictures of the progress and she hissed and puffed up at me! Hurrah! That’s a first for her and great sign those mothering instincts are kicking into high gear. As of dusk tonight, the chicks seem to be doing fine under #1 adopted mum. The next steps: Over the next few days, I’ll be watching our new family like that @#*$! red-tailed hawk circling my house. Because these are waaay over day-old (nearly two weeks! ), I’m going to have to make sure they are getting enough food and water since they don’t have that yolk sac insurance.